Working dock in Corea Harbor, Maine. 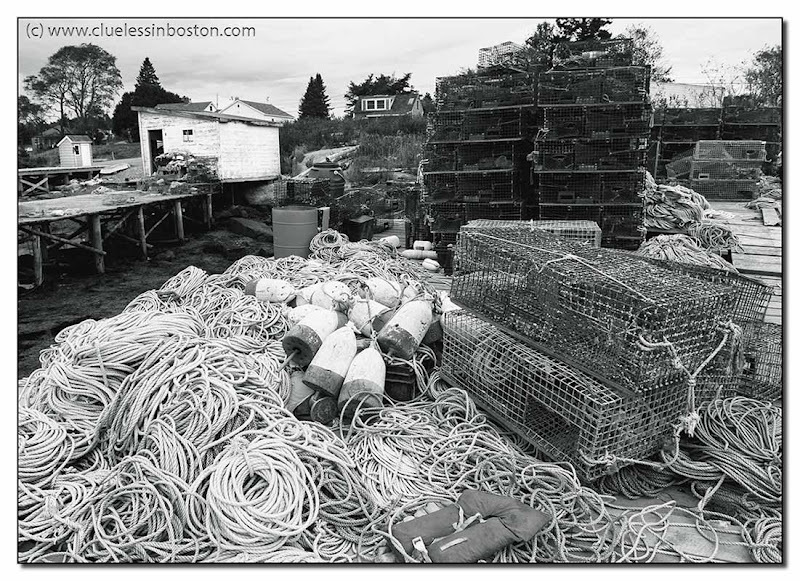 Below is a close-up of some of the rope used with the lobster pots. This subject works well in monochrome. I like all those leading lines . 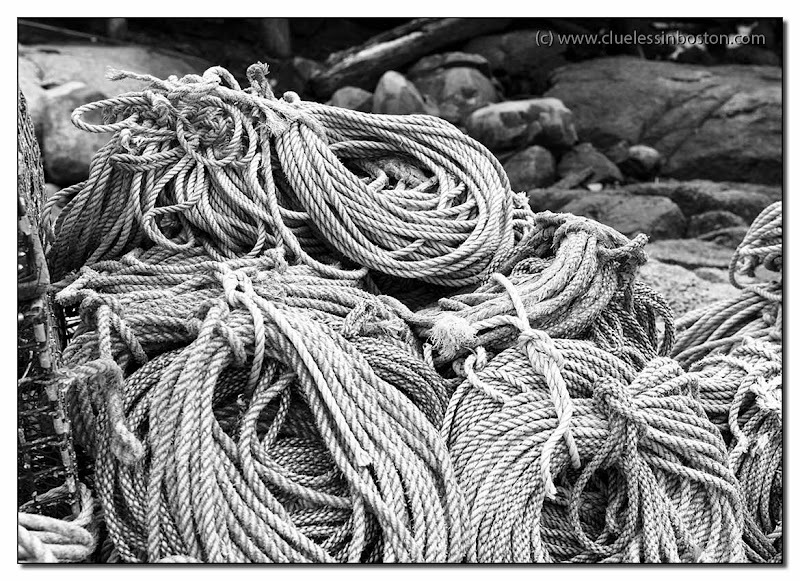 . .
Oh, I love the texture in those ropes. Super use of monochrome. Looks like you are studying textures and shapes and wowza. I like the black and white format that you are using for some of the photographs you take.